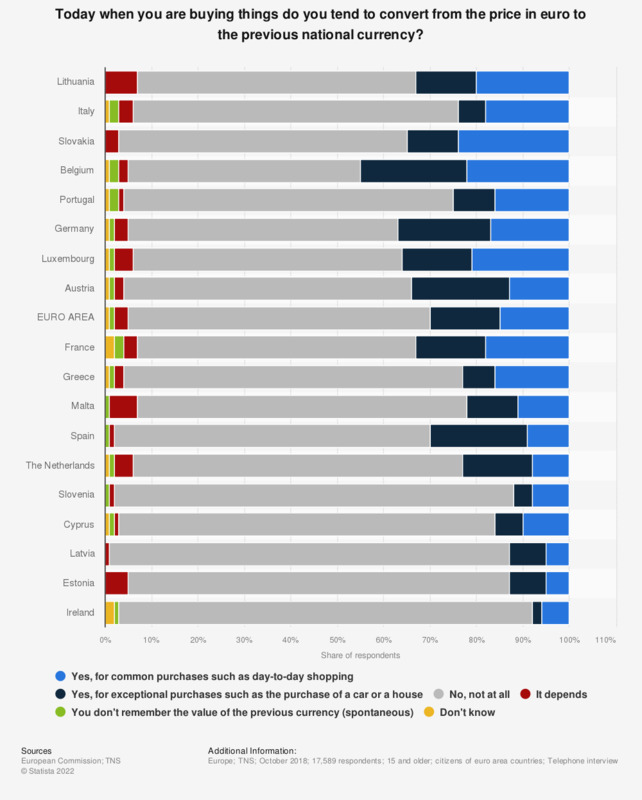 This statistic shows the habits of eurozone country citizens in regards to making euro to previous national currency conversions when making purchases, as of October 2018, listed by all countries. Approximately 20 percent of Lithuanian respondents reported that they usually convert the price in euro to the previous national currency when making common purchases. In contrast, only six percent of Irish respondents convert currencies under the same circumstances. The question in full read as follows: "Today when you are buying things do you tend to convert from the price in euro to the previous national currency when it concerns:"
Do you think that the euro has made it easier for you to compare prices when in different EU countries?